My name is Britta and I will forever be a part of the 'Incurable Bibliophiles Society for Dreamy Souls.' I'm in the midst of completing an MA in Creative Writing, which alloted me the opportunity to spend a year in the emerald land speckled with sheep and middle English. I call it Middle Earth, the world calls it Wales. My goal is to become J.K. Rowling's understudy someday. I also would like to spend my entire life around books. Until then, brisk walks to the Strand Bookstore will do! I started Novel Days because my free time is taken up with books, and I wanted to document my finds/thoughts, as well as make new friends who I can celebrate these novels with. I specialize in YA Fiction, but I do read other genre's. At the moment, I'm reading Paper Towns by John Green, Catching Fire by Suzanne Collins, and will soon start on Delirium by Lauren Oliver. Ummm...I'm not really sure. I do think the cover for Anna and the French Kiss is stupid looking, although not as ditzy as the title. That's not entirely true. It's a cute cover, but it makes the book seem flighty, which it's not. 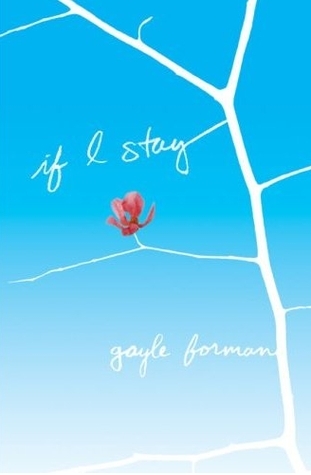 I do hate the paperback cover for If I Stay by Gayle Forman. They took a unique cover and turned it into a copy of every other YA book with a photographed, overdramatized girl. But I'd already read the book when the new cover came out. I like the new cover for Delirium much better than the old one - but I still haven't read it. Can't believe I still haven't read it. Until I started blogging, I didn't care about covers at all. Now I've fallen under the influence of so many of you who drool and ogle at the gorgeous covers. They're much more important to me than they used to be, but I still think they don't influence my impression of a book as much as they do for some people. Then of course you have the unbelievable covers that tempt even disinterested people like me, but only lead to disappointment. Books that come to mind are Tris & Izzie (I made it 50 pages) and Everneath (Ducks as angry bloggers throw stones at my head...I didn't hate Everneath, but I didn't like it as much as a lot of people). Awesome post!! Now that I think about it I kinda agree about Anna and the French Kisses' cover! Yes to Anna and the French Kiss. I don't like it when books have amazing covers, but nothing more to it than that when you read the book. 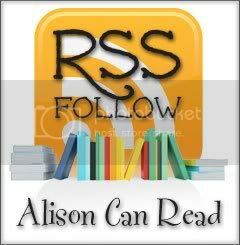 Thanks so much for featuring me, Alison! I feel the same way about Anna and the French Kiss, but I've heard so many great things about it, I might as well give in and give it a go! I feel exactly like you about covers. Before blogging, I didn't really care about covers. But covers really do sell the book. Pssst, I didn't like Everneath either! I found it bleh! But it had a gorgeous cover! I actually like both of the If I Stay Covers, but I definitely agree about Anna and the French Kiss. You're right, the Anna and the French Kiss cover is a little dorky. lol. Thanks for stopping by my blog. You know I never really thought about Anna and the French kiss as bad, but now that I look at it its veyr corny lol, but such a great book! Hi there :) Old follower stopping by. Thanks for visiting. Definitely agree about Anna and the French Kiss :P So many YA romantics have the corny cutesy factor happening. And thanks for stopping by my FF this week. Dreaming In The Pages ∫ Enter My Giveaway! Ooh, the new If I Stay cover is a tad creepy! I am guilty of reading a book based on its cover. I totally agree with Delirium! The new cover is so much better, but I showed it to my mom the other day and she couldn't stand the fact that it had an up close of a girl's face on it. So I'm sure she would agree with you on If I Stay. I haven't read Anna and the French Kiss, but I have to say, the cover definitely doesn't make me want to advance it to the top of my TBR list. Oh well, I need to get over the cover and just read the book already :) Thanks for stopping by! BTW, how's the CAPTCHA thing going over for you? Did your post help make commenting any easier for you this week? I hope so! When I saw the cover of Anna And The French Kiss, I thought it would be terrible. For that reason, I didn't pick up the book for about half a year. I was surprised because I loved the story! BTW I'm new to this feature :)Also, I followed you! Anna and the French Kiss does sound kind of silly. I actually didn't like the book. I agree that the old If I Stay cover was better. I get kind of tired of random girls on the covers of books. I loved Anna & TFK's cover!!! Oooh I really need to read Anna! I totally agree with you on the cover of Anna and the French Kiss but I absolutely loved the story :) You should absolutely read Delirium right now! Thanks for hosting this meme! I'm a brand new blogger and this is a great idea. Haven't read your picks! But good ones! The Hunger Games parody book is really funny. I agree, I didn't like the cover of Anna and the French Kiss. Oh yes, Anna and the French Kiss. Not a fan of that cover as well. 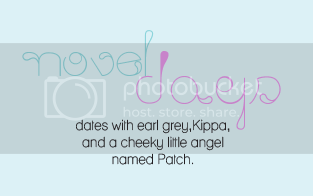 It was too cutesy for the story I think. I avoided that one for a long time and then was super pissed at myself for waiting! Have a great weekend Alison! Thanks for hopping by my blog. You should definitely watch the first season of Game of Thrones. I've heard a lot of things about Anna and the French Kiss recently. I'll have to check that one out for sure! Great picks. I agree the cover of Anna and the French Kiss is not that great. But I've seen an awesome cover for that book on Goodreads, I think it was a fanart or something like that...but they should totally change it to that. I'm with you regarding covers. God, I'm such a cover 'ho. An ugly one can really turn me off to a book, even if there are great reviews about it. Anna seems like it's going to be a lot frothier than it is because of both the title and the cover. Well, I like both the covers although I haven't read either of 'em! Hi! I just did my first Feature and Follow post and have started following you! I loved this question because it made me stop and think (which I don’t always do a lot of) about what what I’ve read recently that would fit this question. When the answer buzzed into my brain I was surprised that was what I came up with and excited that it was my answer! Totally agree on the If I Stay novel. The paper back is horrible. I haven't actually seen the new Delirium cover (I am almost done with Pandemonium), I will have seek that one out! I liked the Anna cover, but it did not blow my socks off when I saw it. I was not a huge fan of the title, but I guess it works for what Perkins does. I haven't read Delirium yet either, but I love the new cover! I'm so happy to participate in this again. I really really like Anna and the French Kiss and the cover. Hi Alison! I've been following you for a while now, but I just thought I'd pop in and say hi since I'm actually participating in Follow Friday this week (after a long absence). I don't like the cover for the hardcover version of Across the Universe by Beth Revis (I love the paperback version), but that ended being a favorite book, after all. Some people love it, but I think it's misleading and plain weird. Still, I don't let a book's cover sway me too much, other than letting it convey to me which genre the book is. That allows me to weed out the type of books I have no interest in, since I don't just read everything that's out there. I totally agree with you on both Anna and the paperback version of IF IS STAY, Alison! Not a fan of either one, although I really enjoyed both books. The Hunger Pains looks hilarious! I just saw The Hunger Pains at the store the other day and thought it looked hilarious! I might have to read it simply because of that great cover! Happy Friday! I don't mind any of those covers, I think they are ok. The Hunger Pains one is very funny too. Thank you for stopping by Claire's Book Corner and have a great weekend. Yup, the If I Stay one is quite spooky. The Anna and the French Kiss one is sweet though. am not too happy about the Anna cover but am hoping its as good as everyone says as I have it on my tbr shelf. I completely agree with you about the covers of If I Stay. The original blue cover is really different and that makes it eye-catching. I wouldn't even look twice at the new cover. Also, I love the cover of The Hunger Pains! I hadn't paid it any attention until now, but that really is a gigglesnort cover! 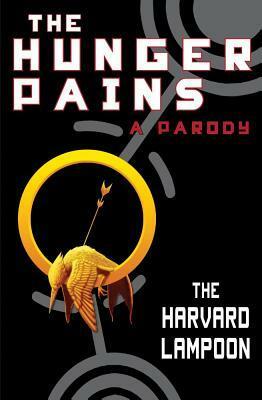 'The hunger pains' cracked me up!!!! >.< poor mockingjay! I feel the same way about the If I Stay covers, that's probably why it took me so long to read it! Anna's cover is okay by me! I've always thought Anna and the French Kiss was a really silly title, and that coupled with the cover made me not want to read it. Amazing how much a cover can do!!!!! Thanks for stopping by! Thanks for stopping by, I'm an old follower :) I've heard that If I Stay is good, but I just haven't been able to get to it yet. Guess I'd better do that! I just joined the Feature and Follow Meme. My site is http://harleybearbookblog.blogspot.com/ if you are interested. I think it's interesting how a book cover can really turn readers off. 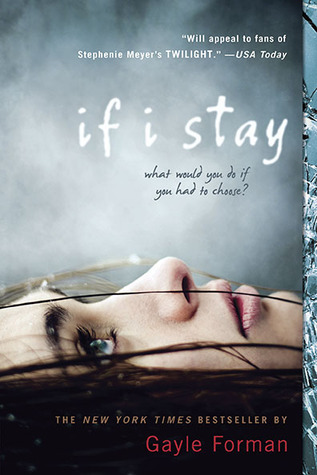 The If I Stay cover on the left is more inviting. I don't know if I would pick up the one on the right if I saw it on a bookshelf in a store.